Looking for Package Deals to Geneva National Resort? We have those too! The Arnold Palmer Signature Course at Geneva National is a big favorite. 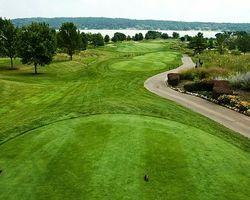 The course winds through the rolling woods of Geneva National, with three spectacular finishing holes along Lake Como. Arnold Palmer himself calls the Signature 17th hole one of his favorites, placing it as #11 in his personal "Dream 18" in the eastern part of the states. The Palmer Course has also been named Top 10 Wisconsin Golf Courses by both GOLFWEEK and Golf Digest. A tough course featuring elevated tees and challenging greens, "The King" gives you golf at its best. The Gary Player Course opened with nine holes in 1995, and Mr. Player returned in 2000 to finish the job. The result is an amazing 18 holes of golf and possibly the most popular course at Geneva National. The course takes advantage of the natural wetlands in the area and offers great risk-reward holes. In addition to a challenging round, the Player Course offers fantastic views of Lake Como and the surrounding area. Most recently, the Player Signature Course was honored with being named #36 on Golf Digest's list of Top 50 Courses for Women in America. That ranking is the highest in the state of Wisconsin. The Lee Trevino Course at Geneva National sprawls throughout the rolling Wisconsin countryside. 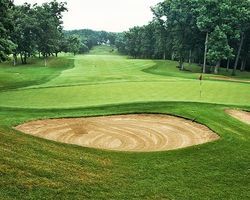 Challenging for the seasoned golfer yet forgiving for the beginner, Trevino offers a memorable round of golf as players find themselves immersed in the picturesque forests of the Geneva National community. This course plays to Mr. Trevino's natural fade and features subtle dog-leg right holes on nearly every Par 4 & 5. Trevino has signed his name to only a handful of courses, and ours is one to experience.